From Estelí in the Northern Highlands of Nicaragua comes some of the world’s best cigars. We visited a small cigar factory called GGi. Here is how a cigar is rolled by a real pro. I couldn’t do that. Do you think you could? 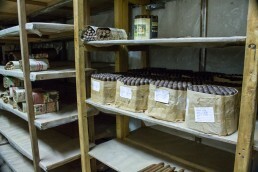 Read the detailed story of the cigar factory visit from here! Want to buy some of the world’s best Nicaraguan cigars from your travels? Here are some comprehensive tips on how to buy cigars in Estelí, Nicaragua. The panga ride from Big Corn Island to the Little Corn Island in Nicaragua is a bumpy ride on the Caribbean waves. Prepare to get soaking wet! Visiting a cigar factory in Nicaragua is an interesting experience. You'll see the cigar making process from start to finish in the cigar factory tour. Landing to the jungle airport of San Juan de Nicaragua with a 12 seat Cessna.